The Bermuda Progressive Labour Party will be hosting a Town Hall Meeting on Thursday June 26 at Devonshire Rec, beginning at 5:30PM. 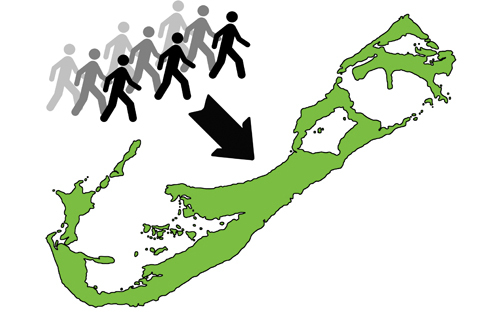 The topic will be Immigration and Bermuda Status. PLP Leader Marc Bean said, "Immigration policy in Bermuda has historically been used to deny Bermudians opportunities, create social division and preserve political power for the few. The latest attempt to grant Permanent Residency Certificate holders the right to compete with Bermudians for jobs, buy property and vote is one that the PLP opposes and with your support, intends to ensure, never becomes a reality. " "The PLP's position is that Bermuda must work for Bermudians and that's why we are looking to provide concerned Bermudians with facts and a way forward to protect the birthright of our people. We encourage the public to join us as we discuss this critical issue that affects not just Bermudians of today, but potentially will radically reshape Bermuda for generations to come." The PLP's Town Hall Meeting on Immigration and Bermuda Status to be held at Devonshire Rec on Thursday June 26 at 5:30pm is free and open to the public. For further information please contact The Progressive Labour Party on 292-2264 or visit our Facebook page www.facebook.com/voteplp.